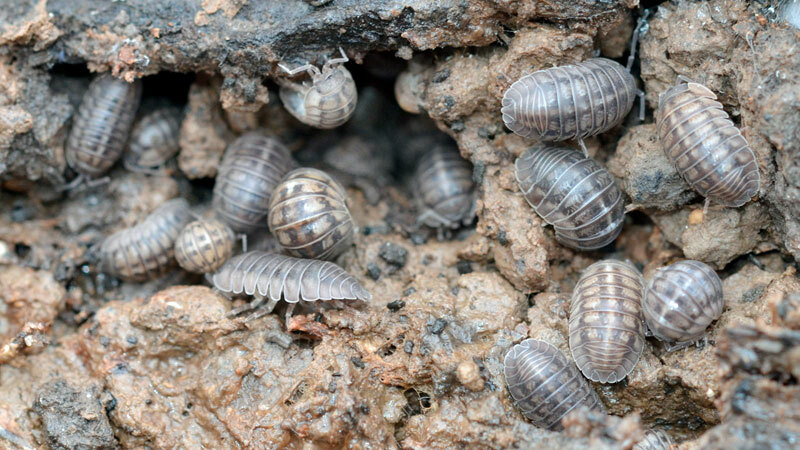 Pill bugs are one of the best-known little pests due to their armadillo-like defense mechanism. Unfortunately, they can be known by one of several different names depending on your location, and all of them are actually misnomers. What do Rollie Pollie Bugs Eat? Pill bugs are a small, armored critter that looks more like a cross between a trilobite and armadillo. They’re really easy to spot, although it’s easy to get them confused with pill millipedes. As these two critters have a convergent evolution (meaning they evolved separately with a similar end result), we’ll be lumping the two together for much of this discussion. When asked the question “What is a pill bug?”, most people will describe it as a bug or insect. In fact, the Pill bug is actually a crustacean, more closely related to lobsters and shrimp than they might appear. Perhaps the second most common name for this critter, it’s in reference to the slightly squashed look when the pill bug rolls into a ball. To this day, some pills have a similar shape. The most common name, especially on the East Coast, these critters have gained this name due to their habit of infesting potato plants. Besides being fun to say, this name is a direct reference to the bug’s ability to roll into a ball. This is actually a name that gets around quite a bit, and is again related to the bug’s habit of living near a cool, damp food source. Being arthropods, pill bugs have a lot of biological features that are difficult to spot. The most obvious is their oblong, segmented body. 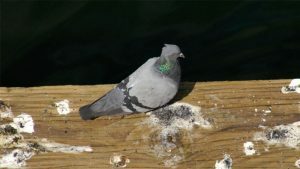 Most often grey in color, the plates may also appear brown, white (after hatching), and pinkish (during molting). Their underside is whitish, with several pairs of legs. They also have two long, thick antennae which have segments that make them look like additional legs. Speaking of legs, they have smaller appendages under their shell which resemble legs but are actually used for breathing, grabbing water, and mating. The biology of these two critters can be so similar that you often won’t know which you have until you’re very close. Pill millipedes (sow bugs) have a flatter body and cannot roll into a ball. They also have an appendage somewhat resembling a tail and coloration a little closer to that of millipedes. One other major difference is in the legs. Pill bugs have up to 7 pairs of legs, or one per segment. Pill millipedes, conversely, have two pairs per segment. These little guys are an important part of the environment and feed off of dead plant matter. This is why woodlice can often be found in rotting trees. They’ve earned the nicknames “potato bugs” and “tomato bugs” because they’ll sometimes go after healthy crop foods, although these are most often young plant shoots. As a general rule, pill bugs are harmless and help aerate the soil. They’re also edible, but I wouldn’t recommend this, as they taste terrible. 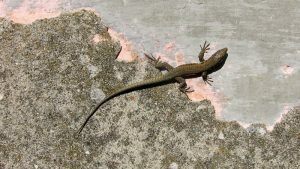 However, if you see these little guys munching on young garden plants or invading your home, then steps need to be taken. As already mentioned, pill bugs can be highly beneficial to your garden. 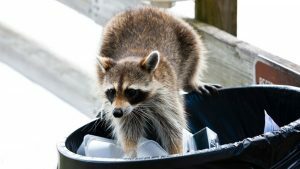 They make compost, aerate the soil, and have enough predators that they’ll rarely overpopulate any outdoor space. The downside is that they’ll sometimes snack on young shoots and berries, giving the signal that an eviction is needed. 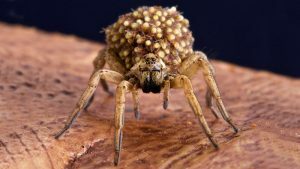 When eliminating pill bugs from your garden, you should always think of it as as form of population control and not an outright extermination. 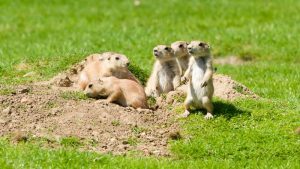 These critters are necessary for your garden to remain healthy, so never try to completely eradicate them. Some people use salt to try and dry the pill bug, although this isn’t very effective and could harm your plants. A more positive weapon is Diatomaceous Earth, which is relatively safe for humans and larger pets, but will kill insects and other bugs which walk over it. Other critters such as frogs and lizards love to eat small bugs and pill bugs are no exception. So get yourself a couple of these to control the rollie pollie infestation but then you may have other critters to worry about. It’s easy to trap this critter naturally using a simple potato. Just cut a potato in half and scoop out the middle. Press it open side down into the garden soil and the trap is ready to go. You can check the trap once per day up to once per week. Remove any pill bugs you find in the cavity, as well as a handful of the dirt under the trap. You can reuse the trap and dispose of your “captured” critters. Incidentally, cantaloupe rinds can also be used instead of potatoes. The most frequent place you’ll find roly polies invading your home is in the basement. The cool, damp atmosphere is perfect for their needs, and they love the darkness. Simply using a dehumidifier is sometimes enough to get them out of a finished basements. Finding a pill bug in your home can be an important early warning sign of water damage. As they require moisture to survive, spotting an infestation of pill bugs near pipes or portions of wall can be an indication that repairs are needed. Once the source of moisture is gone, the pill bugs will soon follow. Note that you will need to not only remove the source of moisture, but also seal any nearby cracks or entry points. The pill bugs themselves can simply be vacuumed up, but so long as there’s a hospitable space (especially in the autumn when these critters are looking for a warmer residence), there’s always a risk of reinfestation.